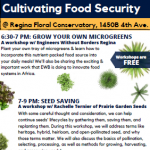 FRIDAY, MARCH 3 @ 6:30 – 9:00 PM – Doors open @ 6:00 PM REGINA – Regina Floral Conservatory, 1450B 4th Avenue The event is free – donations are welcome! … Continue reading. WEDNESDAY, NOV 2 @ 7 PM REGINA, The Owl (Upstairs) @ The U of R Riddell Centre FREE admission, appetizers! Join us for this casual, free ‘speed networking’ style event … Continue reading. The Climate is Changing. Food and Agriculture Must Too A World Food Day Event FRIDAY, OCT 14 – 5:30 – 9:00 PM Doors @ 5:30 PM, Potluck @ 6:00 PM (Bring a dish to share!) REGINA, St. Paul’s Anglican Cathedral, 1861 McIntyre St. FREE: Please … Continue reading. Part 1 of SCIC’s Ethical Eats summer events series. See more events in the series 3 Films, 3 Days, 3 Locations: Take your pick! July 26th, August 3rd, and August 10th in Regina What do you have in common with a 3rd generation organic farmer … Continue reading. Part 2 of SCIC’s Ethical Eats summer events series. 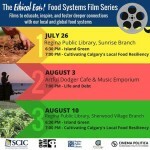 See more events in the series ETHICAL EATS MYSTERY BOX CHALLENGE WEDNESDAY, AUGUST 17 @ 12:00 – 12:45 PM FW Hill Mall Stage (1800 block Scarth Street) Join us over the lunch hour as two local chefs … Continue reading. Why won’t growing more food solve global hunger? Why can’t we just build more clinics to improve global health? Our new campaign explores below the surface of global challenges such as hunger, health, education and conflict. 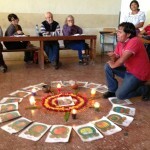 As one person, we can each learn more, and take … Continue reading. By Ellen Wood As we travel on the Guatemala exposure tour, I find there is so much to see and to experience; it is a very different life from the one … Continue reading.